Transport company specialized in floriculture, founded in 1991 by the owner Mr. Danilo Ludi and located in Taggia (Imperia), in the Riviera dei Fiori. 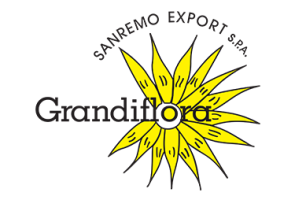 Born to transport local products internationally thanks to Grandiflora S.p.A. has developed over the years to satisfy more customers and today is an important reality able to efficiently carry out every type of transport. Currently it has 40 own refrigerators, all with double drivers, as well as tractors for distribution, employing about 100 people. The routes of our greatest interest are Italy for the Netherlands, Belgium, Germany, France and vice versa. it concerns departures and arrivals of the means from the international routes. Our vehicles are recent in compliance with the latest anti-pollution regulations, equipped with new refrigeration units, set up specifically for floriculture transport, with high transport capacity (space on the ground and height) and hydraulic tailgate for loading and unloading of goods.